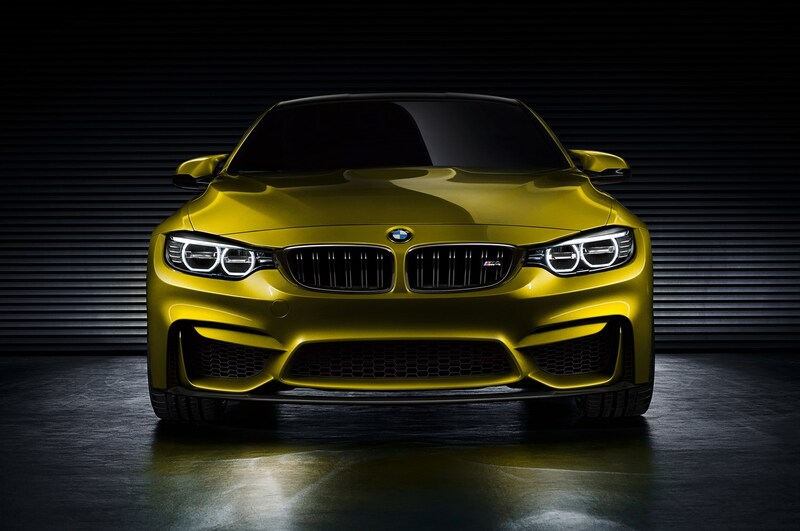 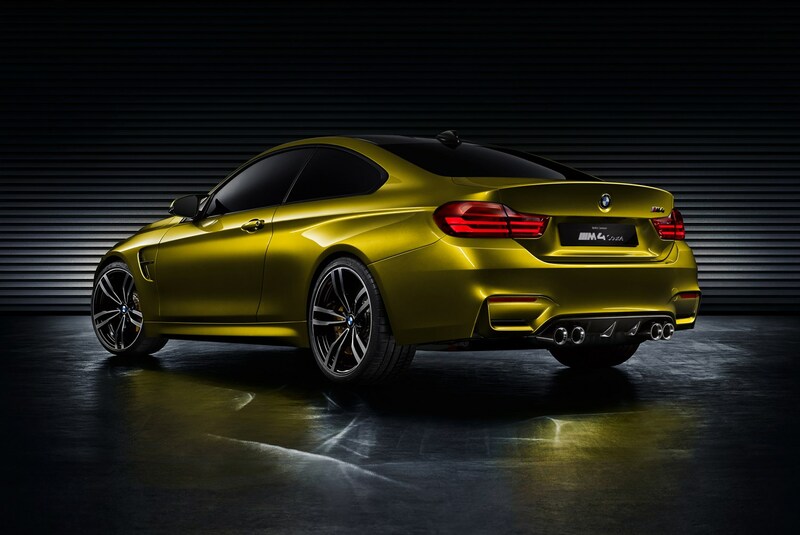 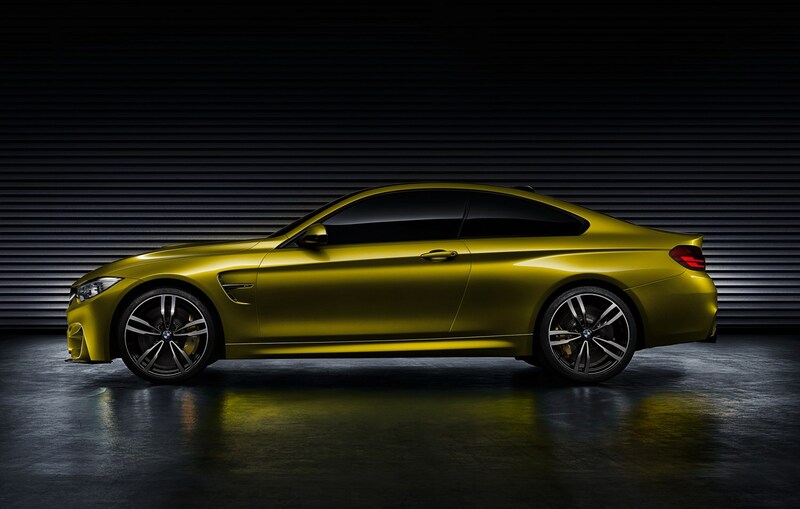 It might be an unfamiliar name but its lineage is perfectly ingrained in performance car fan’s memories; this is the new BMW M4, successor to the previous BMW M3 Coupe, which sits alongside the mechanically identical new M3 saloon. 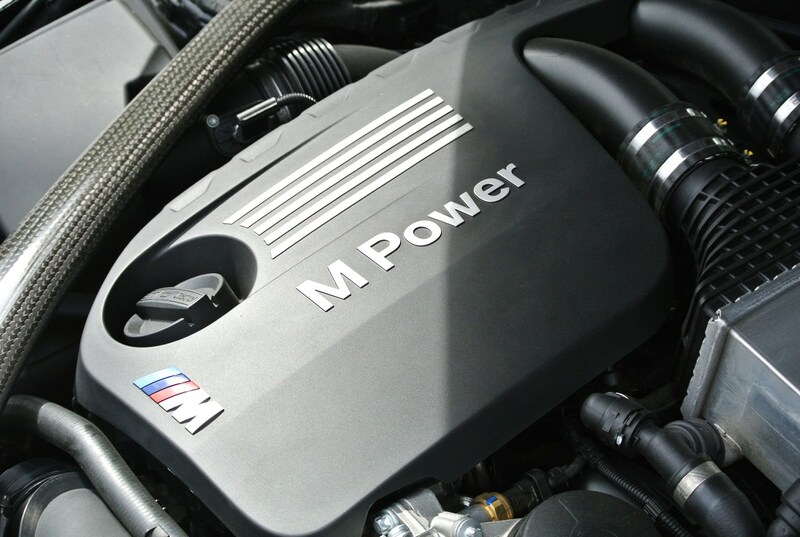 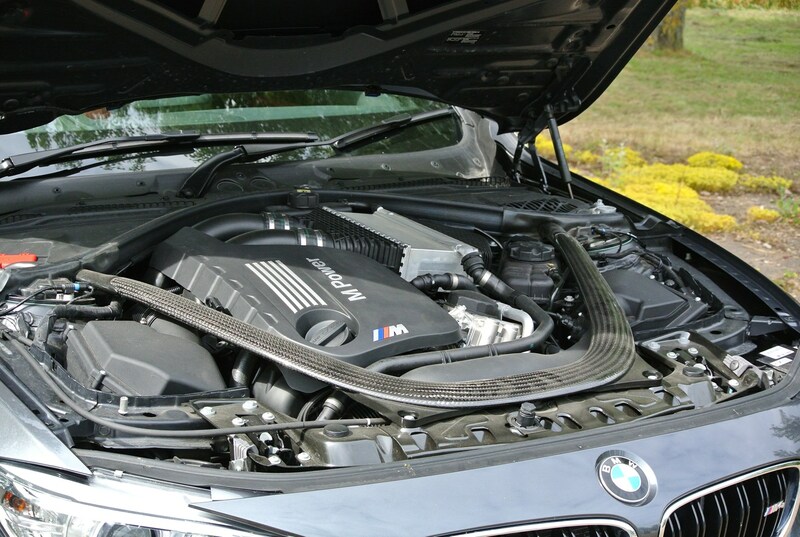 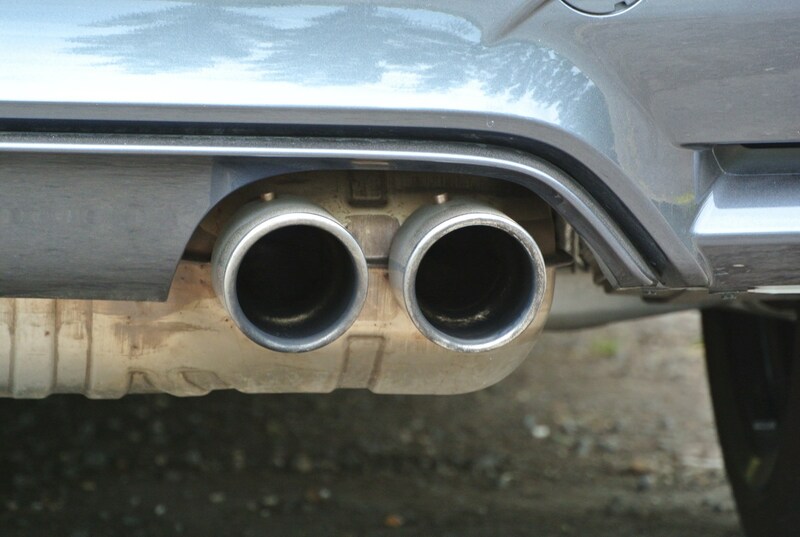 There was a time when BMW’s M engineers denied they’d ever use turbocharging for their cars, but along with producing the odd diesel model they’ve had to eat their words – like the 2011 M5 model, this new M4 uses a pair of turbos to boost performance and lower fuel consumption and CO2 emissions. 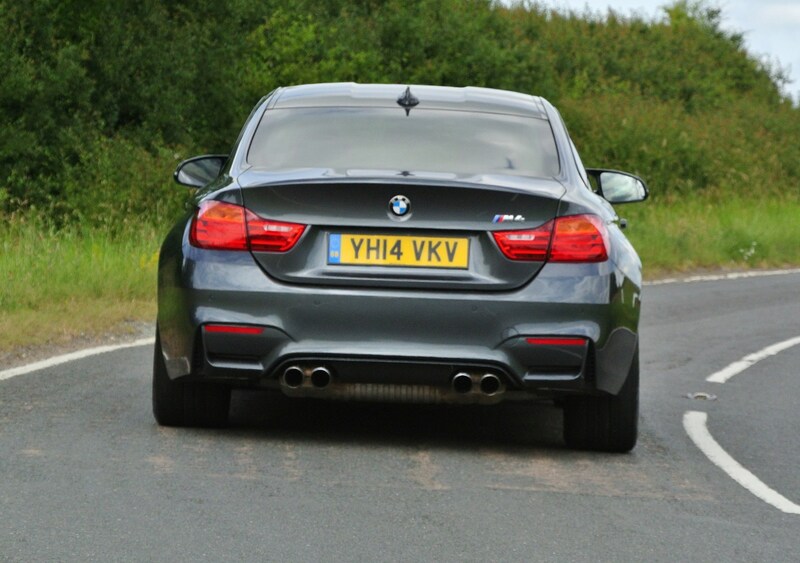 This time they’re mated to a 3.0-litre straight six, like performance BMWs of old, rather than a V8 though. 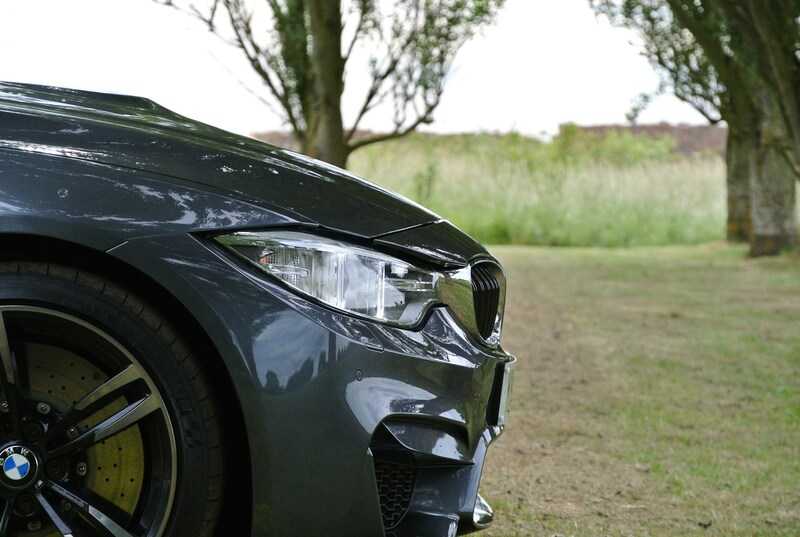 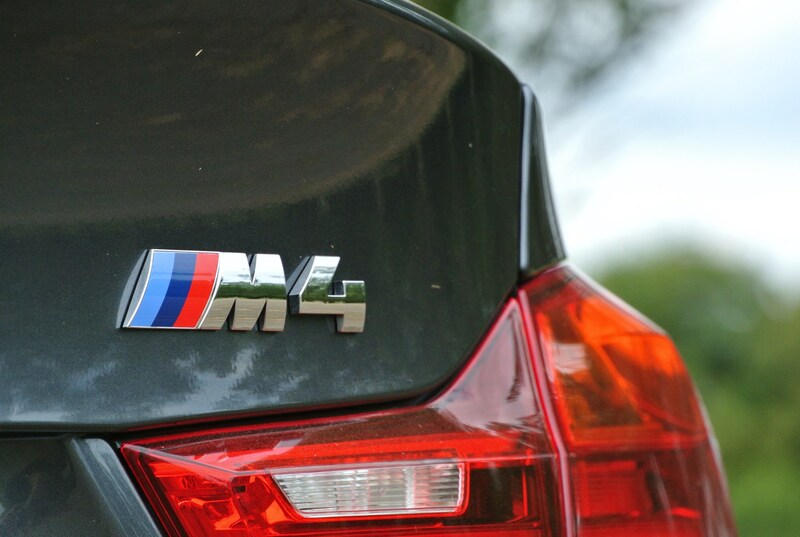 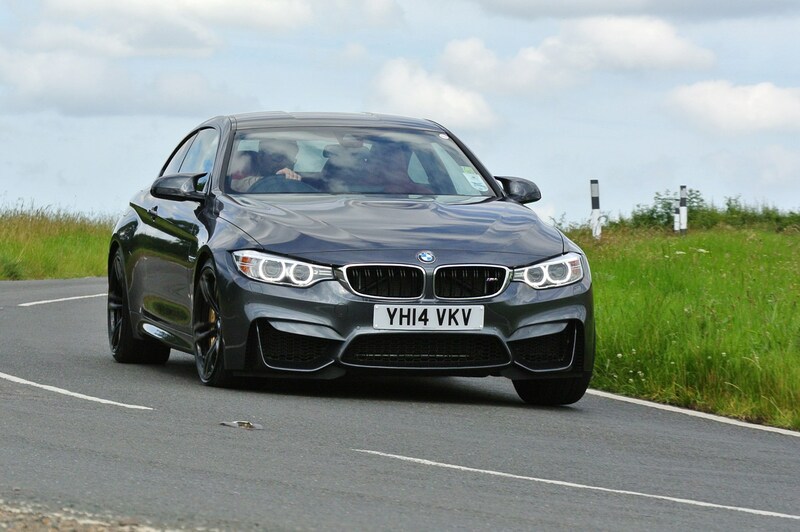 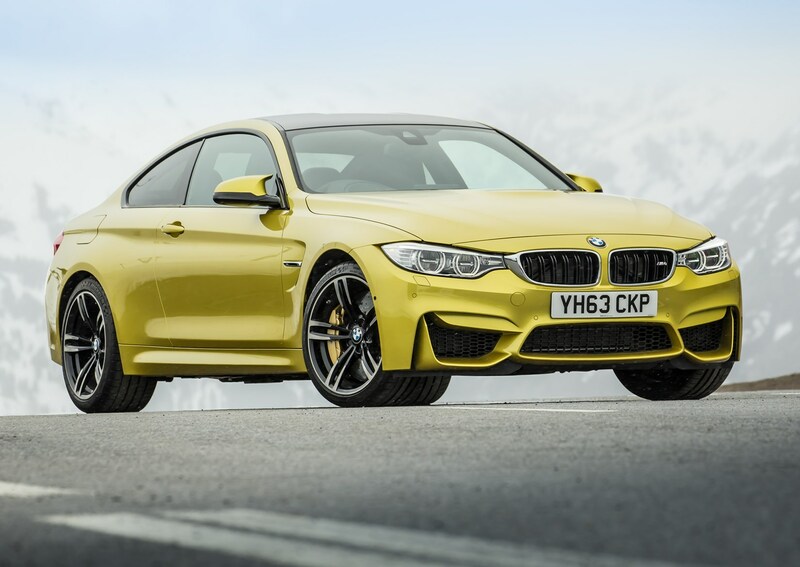 But while the M4 might have seemingly suffered from the downsizing trend, its performance has done anything but; the 0-62mph sprint is covered in just 4.1 seconds and, as with the V8 before, the top speed is electronically limited to 155mph. 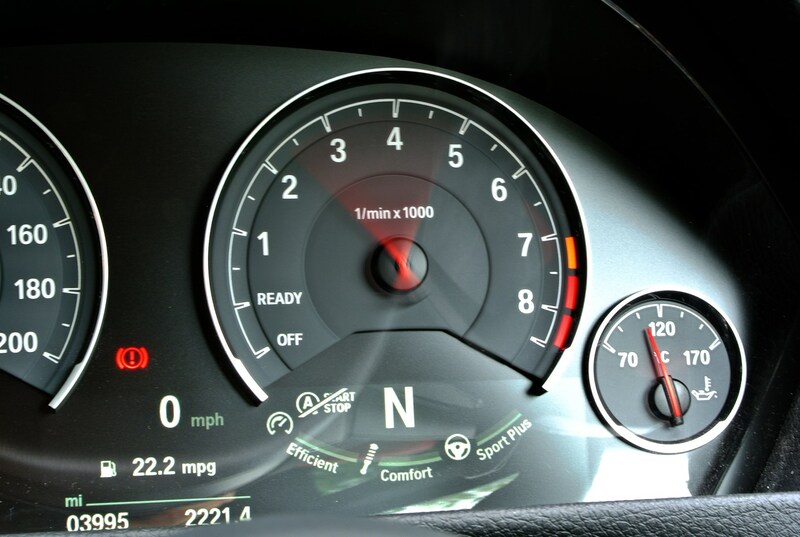 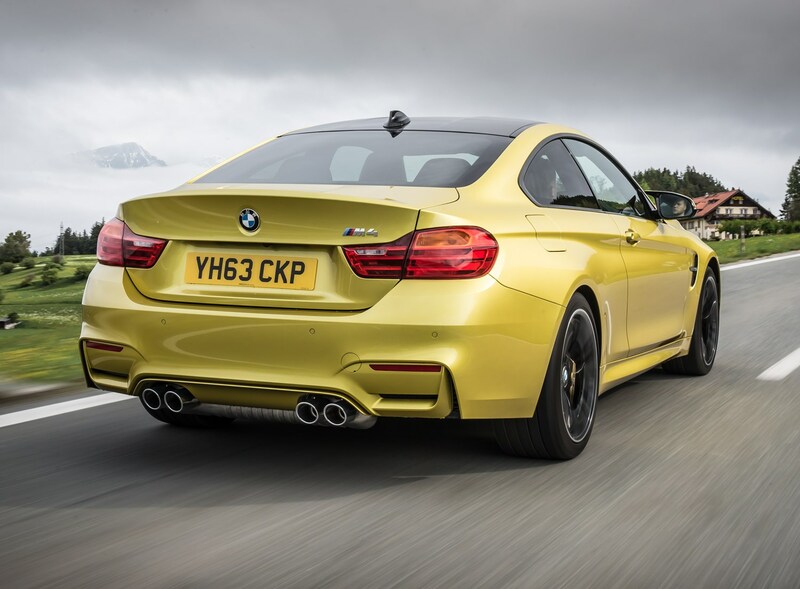 That’s thanks to both the straight-six’s 425bhp and 550Nm of torque, the latter available to drivers from just 1,850rpm. 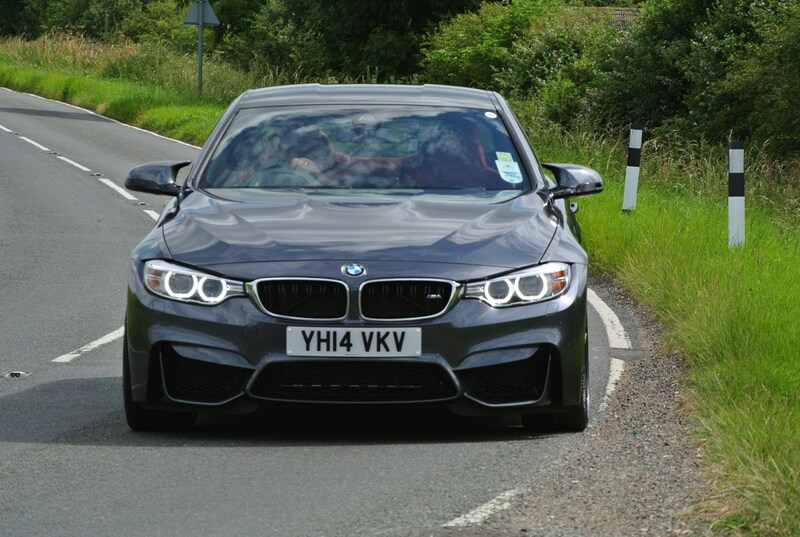 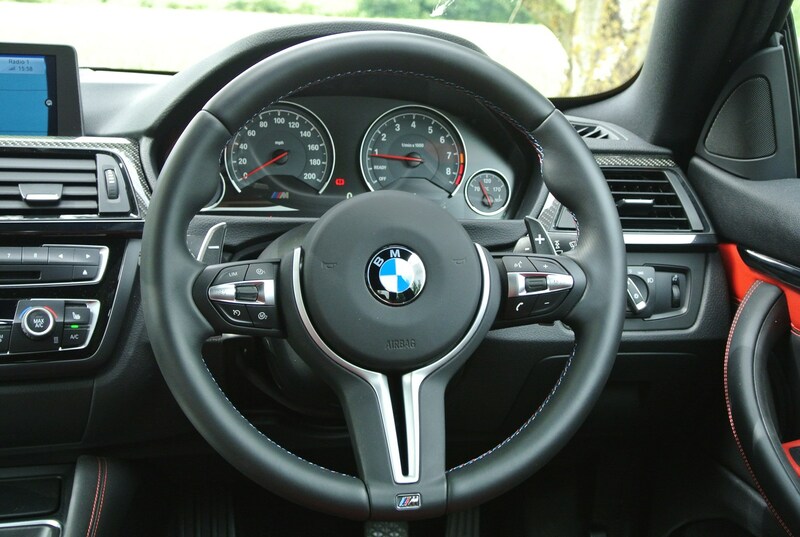 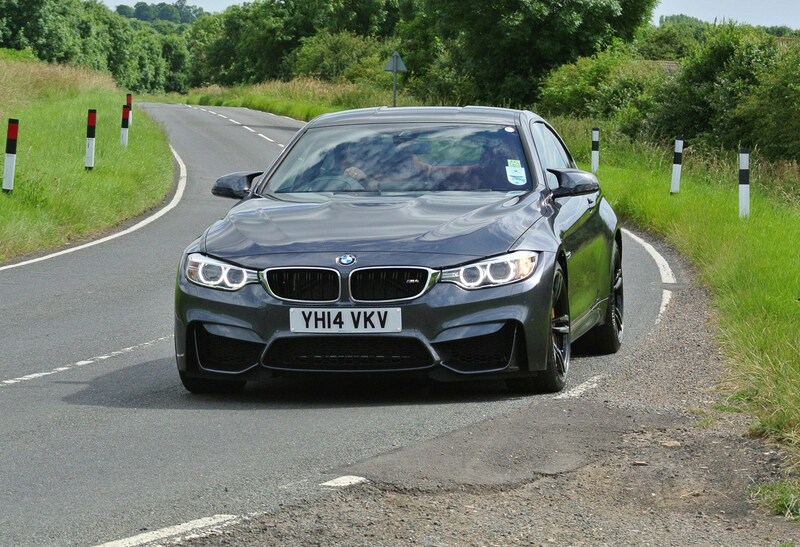 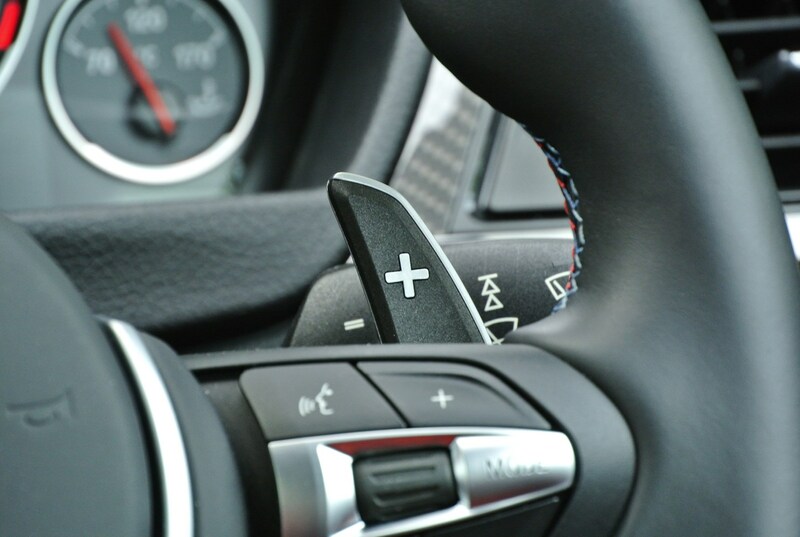 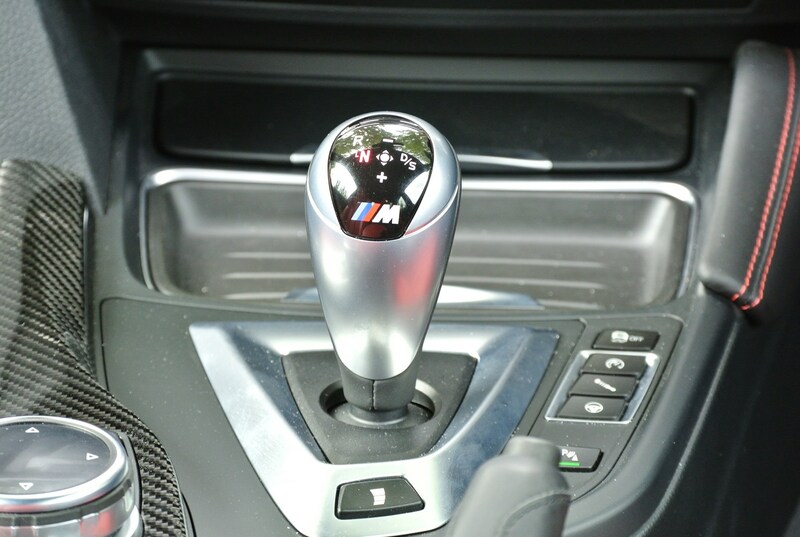 Enthusiasts will be just as pleased to note that the M4 comes with a six-speed manual gearbox as standard, though the seven-speed M DCT dual clutch automatic gearbox is worth consideration – if not for its better performance (the manual takes 4.3 seconds for the 0-62mph test) then for the quality and speed of its shifts. 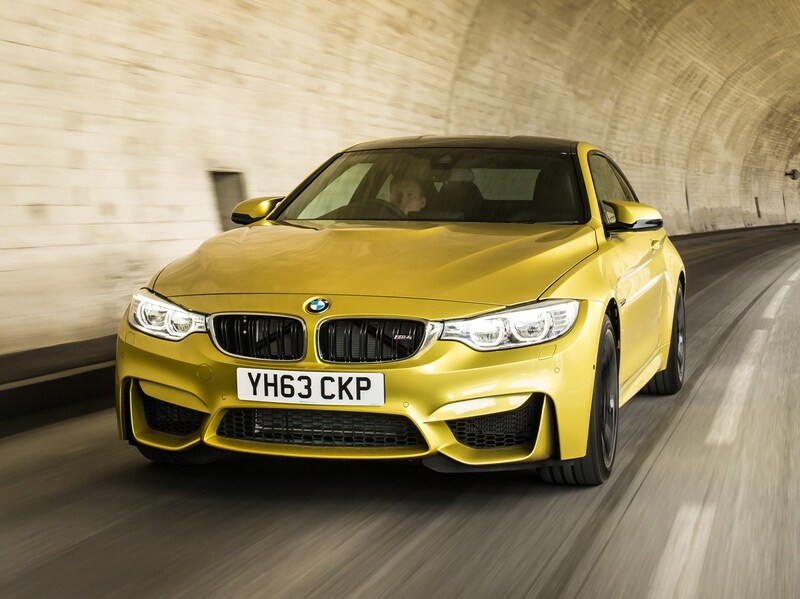 Those concerned with the environment are equally well-catered for and the new M4 can emit less than 200g/km of CO2 (194g/km for the automatic and 204g/km for the manual) while returning up to 34mpg. 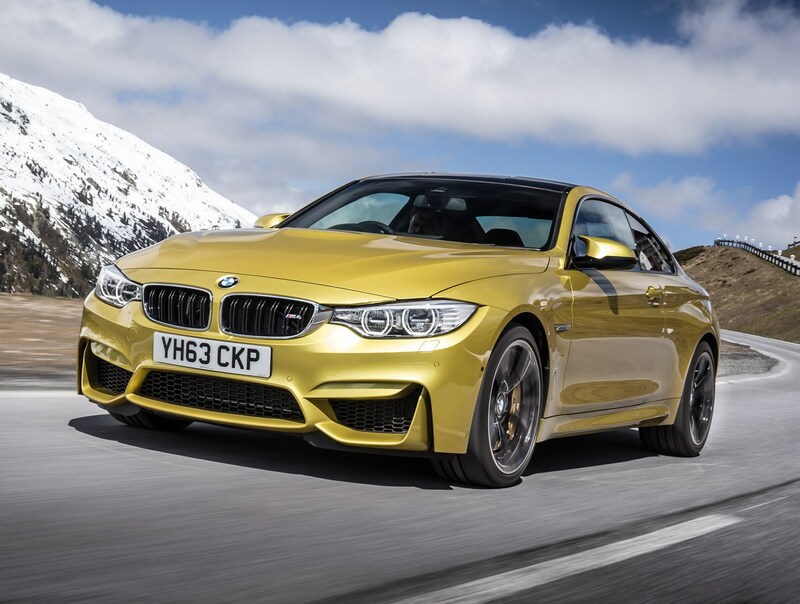 Compare the new M4 to its predecessor or current rivals and the specification sheet quickly reveals it’s around 200Kg lighter than you could reasonably expect – the firm has used carbon fibre and aluminium extensively to ensure the manual models just sneak under 1,500Kg. 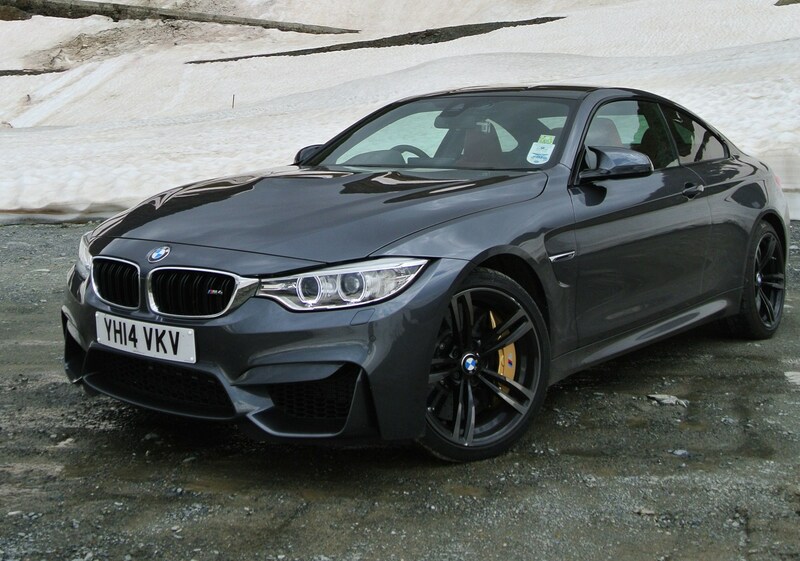 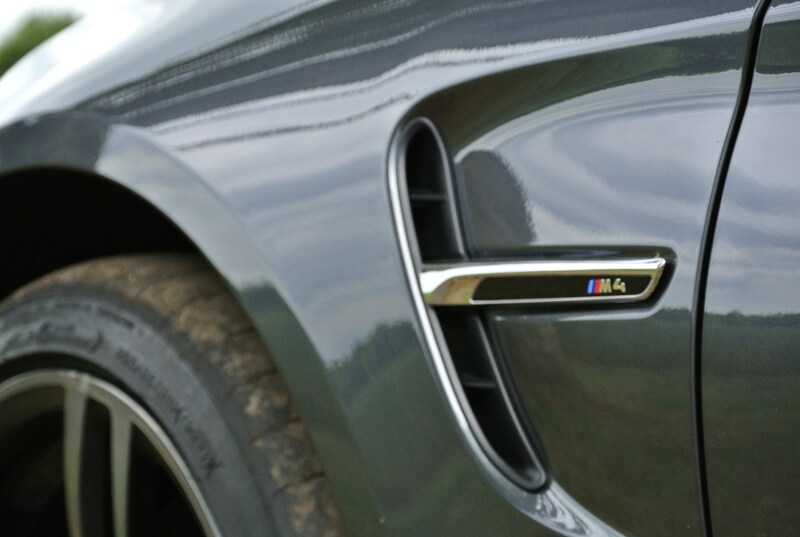 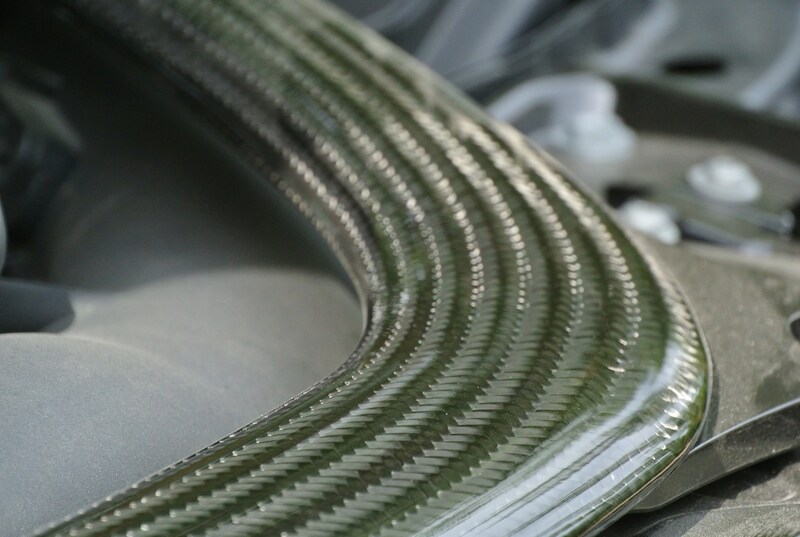 The centre of gravity has deliberately been lowered as much as possible too (carbon fibre is used for the roof panel for example) and the result is an M4 that is especially agile and nimble. 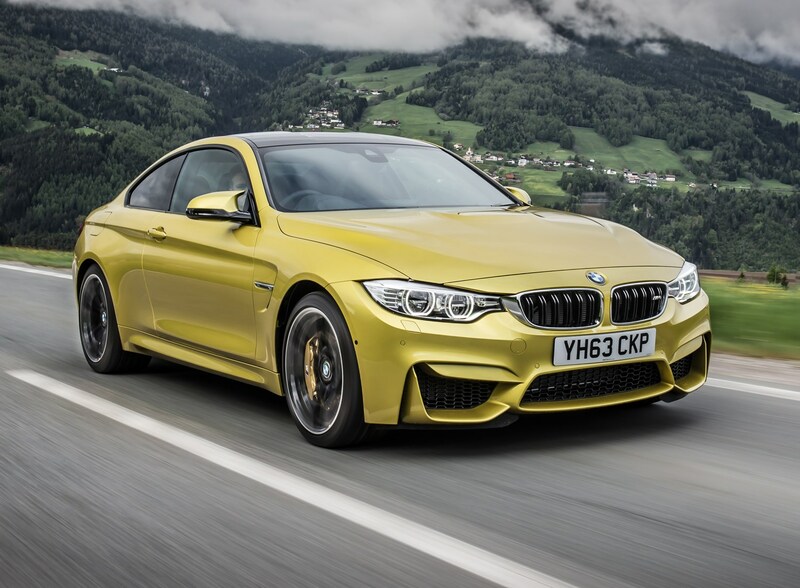 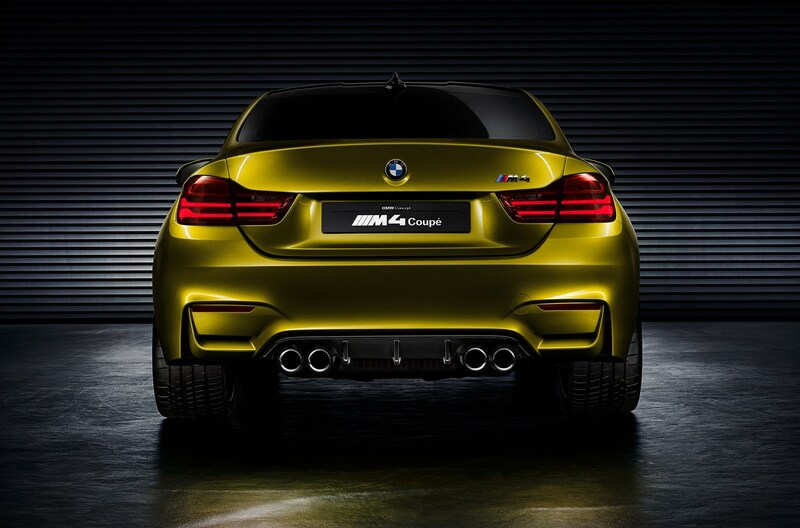 As before, the new BMW M4 has adaptive damping, which allows the user to toggle between Comfort, Sport and Sport + modes (the same system can also be used to tweak the throttle and steering responses) to offer the ideal responses on everything from ridiculously rutted roads to racing circuits. 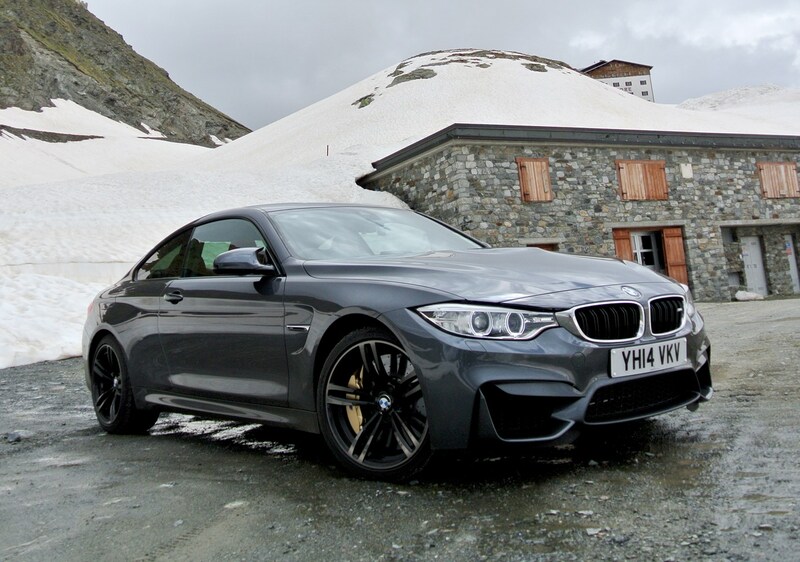 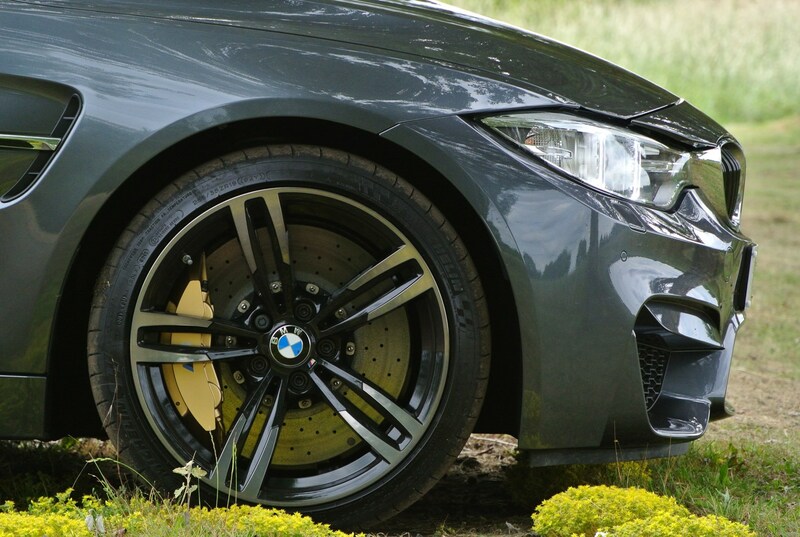 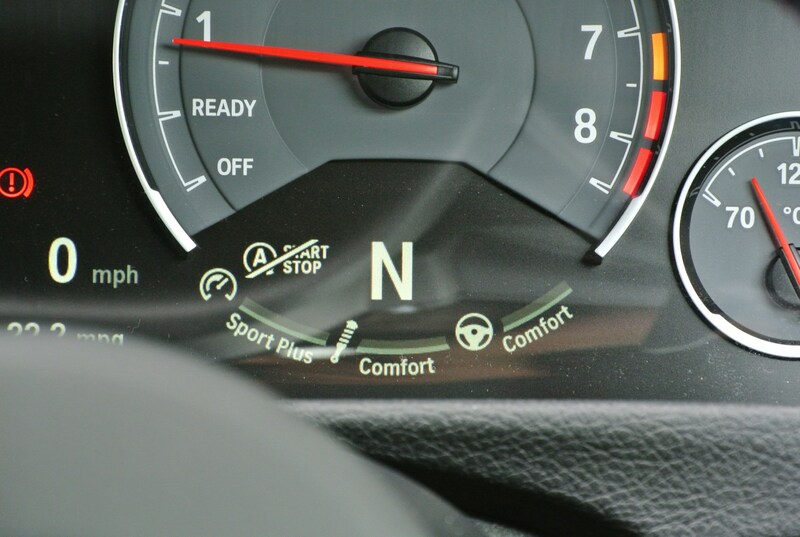 Thanks to the ‘Active M’ differential at the rear, the grip on offer – in the dry at least – is strong and the M4 can carry impressive speed into and beyond an apex. 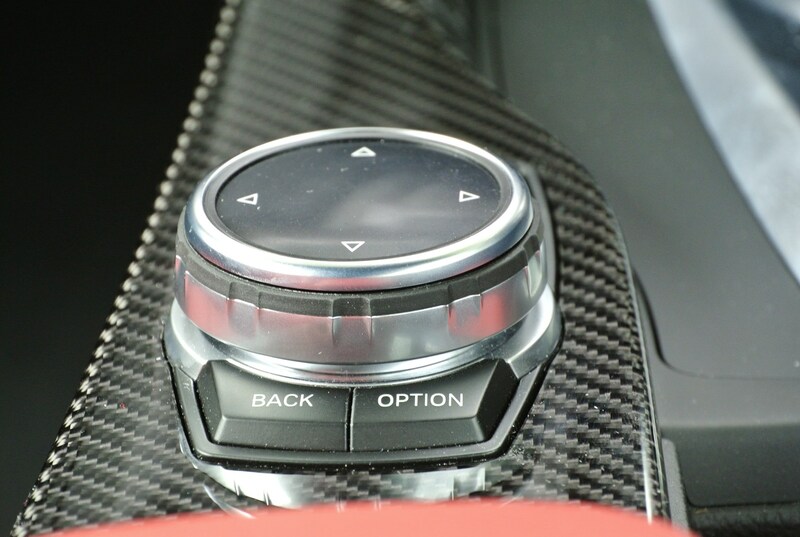 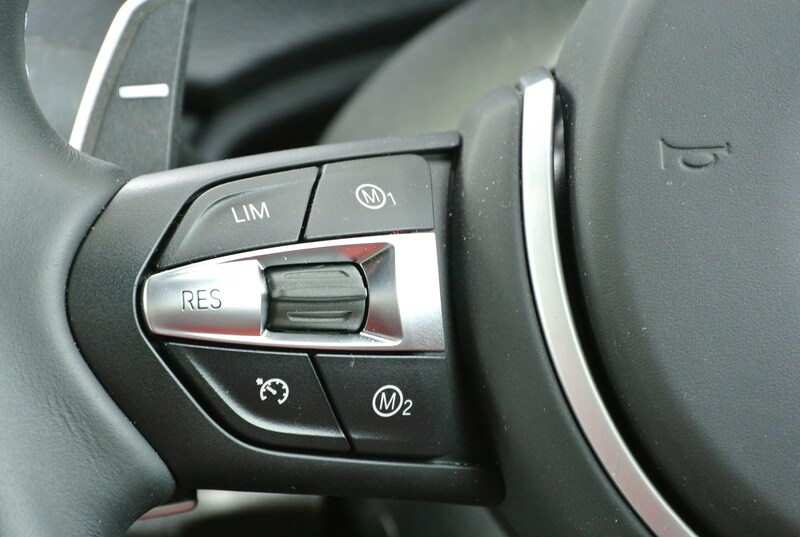 Those feeling only moderately brave can choose the halfway house of the car’s MDM stability system to allow some slides without allowing the car’s angles to get too far out of hand, while the braver few can disable the system completely. 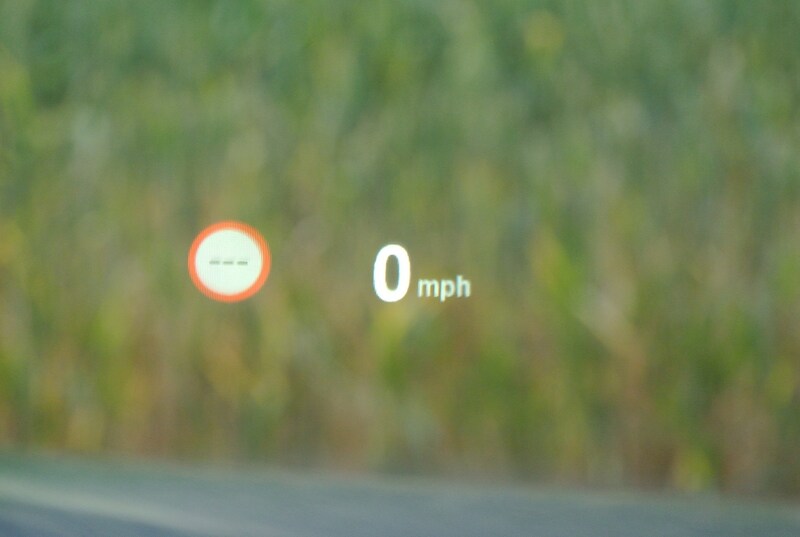 Quick reactions are needed here though. 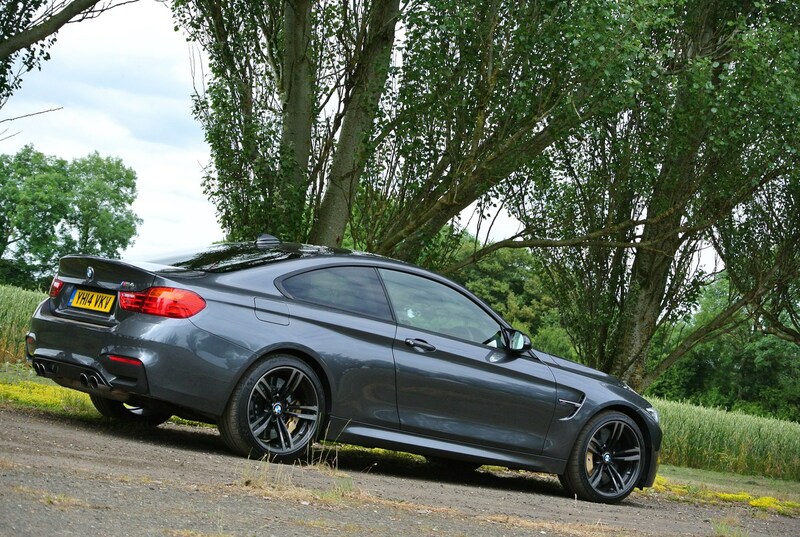 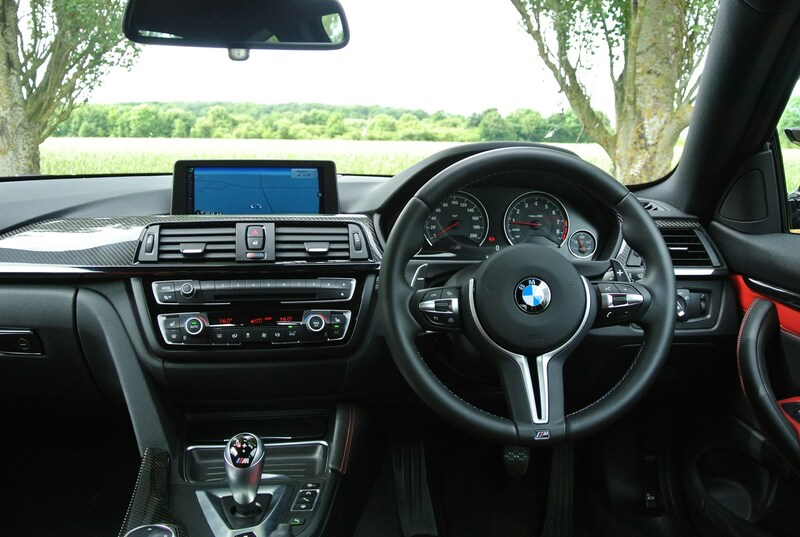 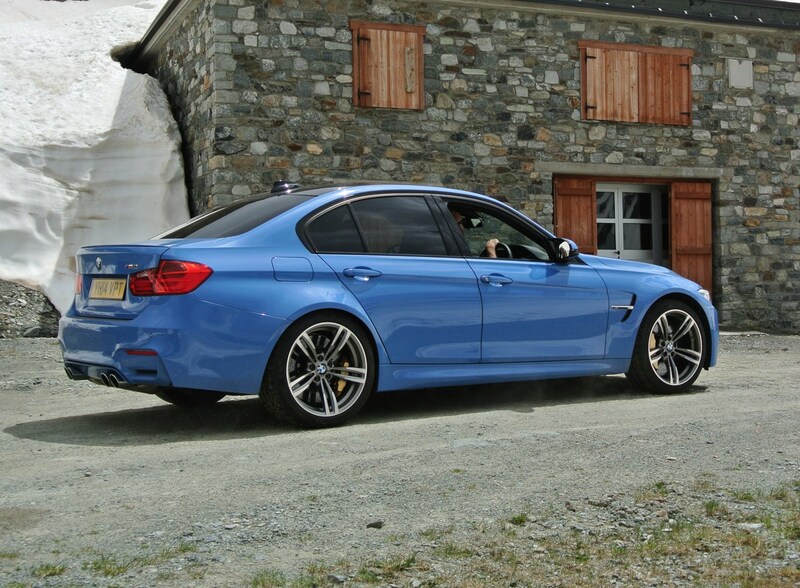 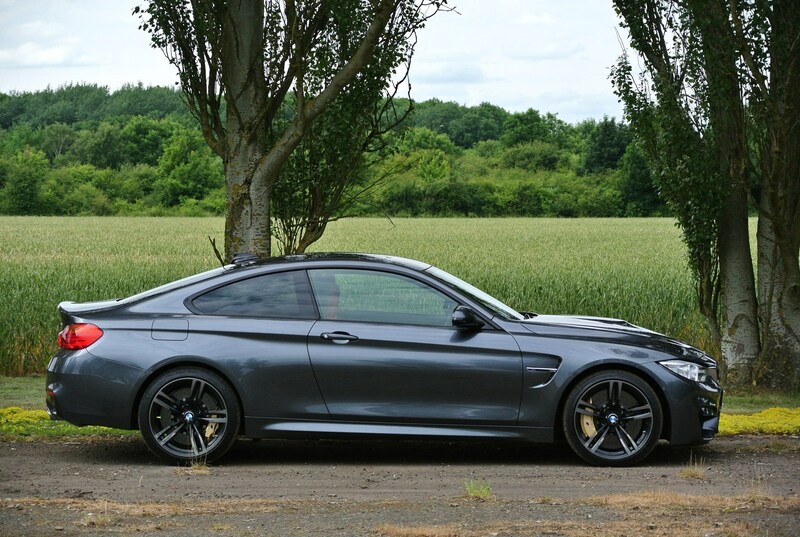 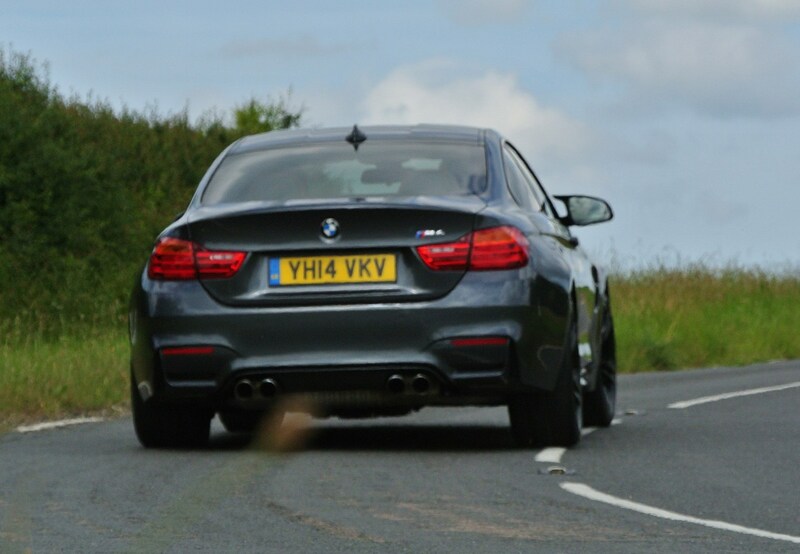 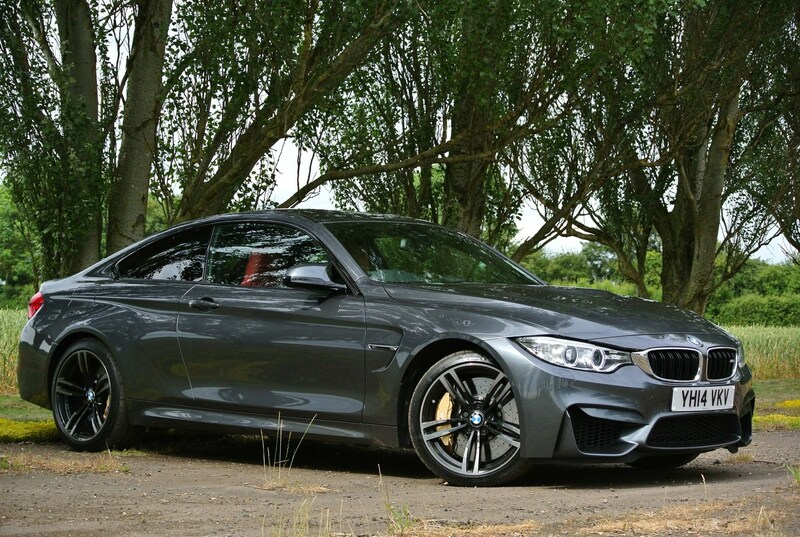 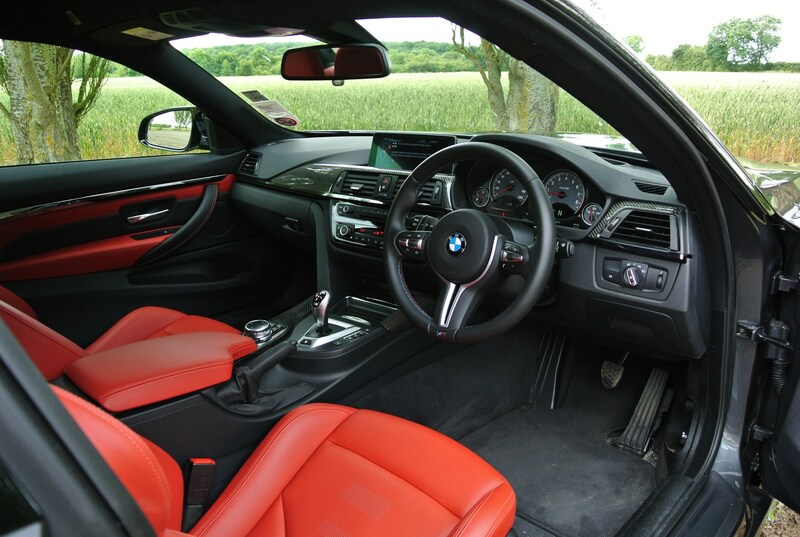 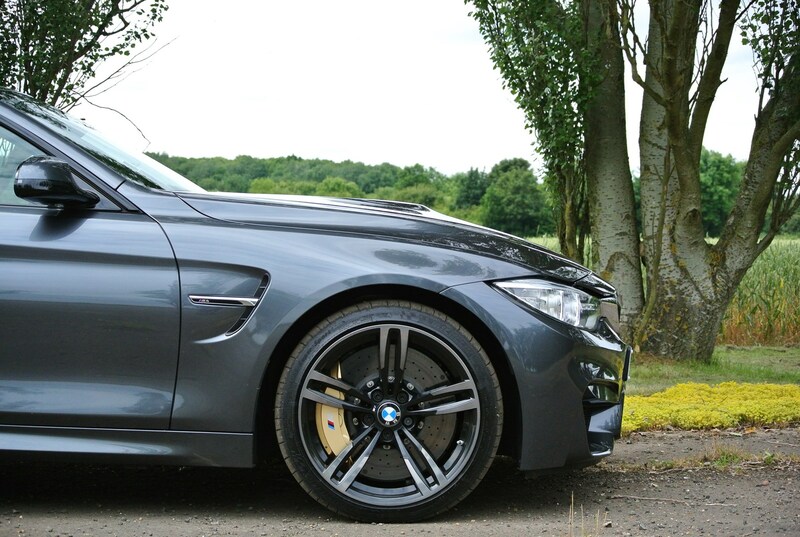 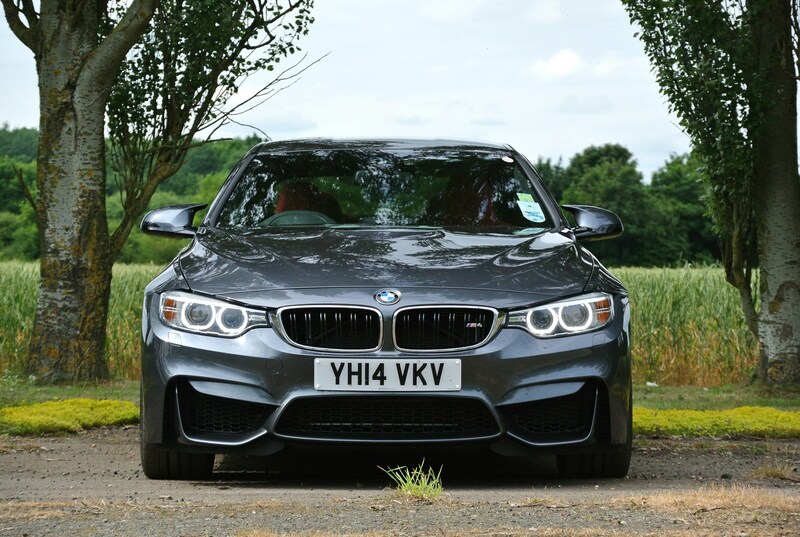 The M4 may be a sports coupe, but being closely related to the practical M3 saloon it can still carry out sensible chauffeuring duties, seating two adults in relative comfort in the rear, and even includes a 445-litre boot. 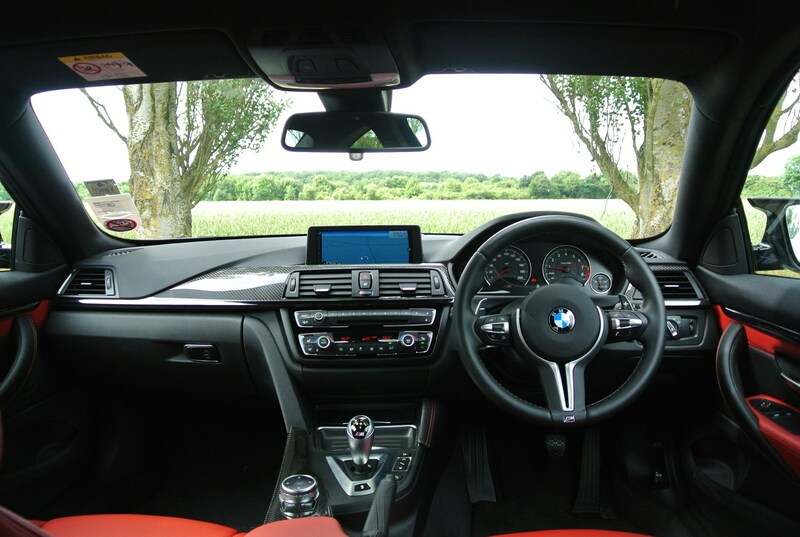 It’s comfortable and quiet too, with a cabin that is impeccably well-constructed and full of standard kit – even if it doesn’t quite feel as special as the price tag might suggest it should. 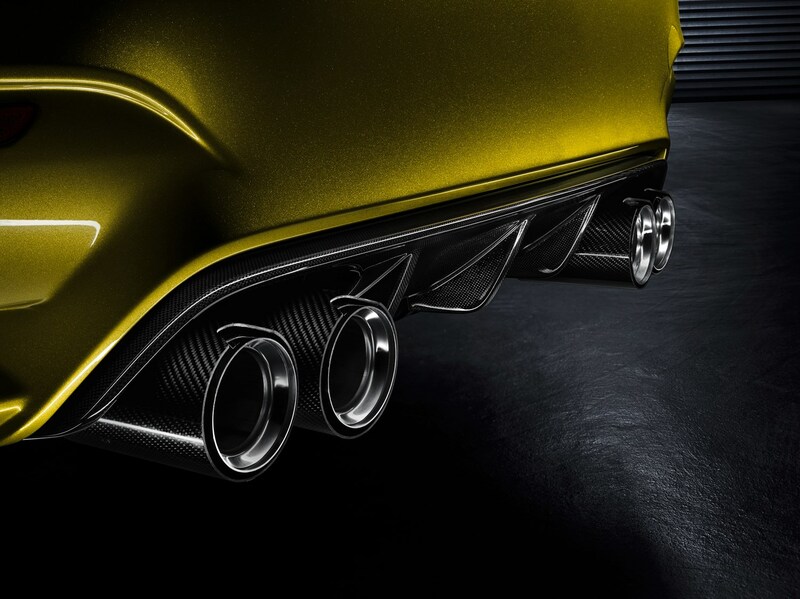 Flared arches, quad exhausts and a purposeful body kit means it stands out in a crowd, while two new colours have been revealed for the car; Yas Marina Blue and Austin Yellow (named after Formula One circuits). 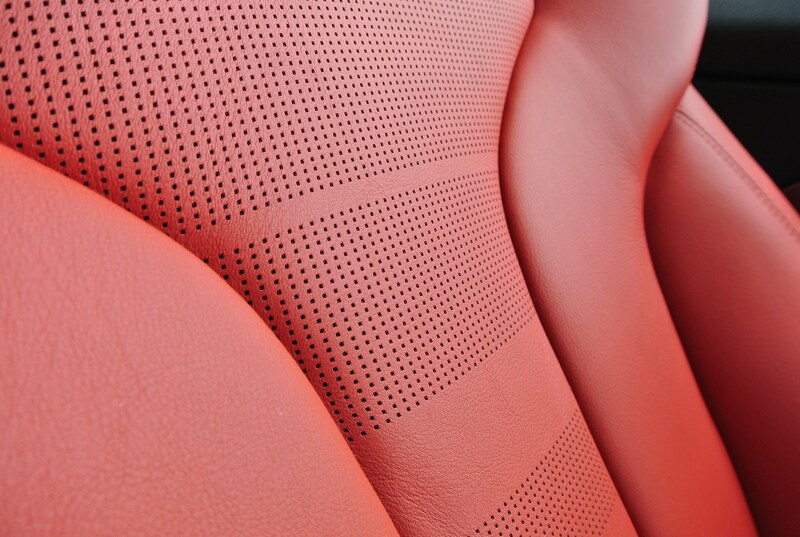 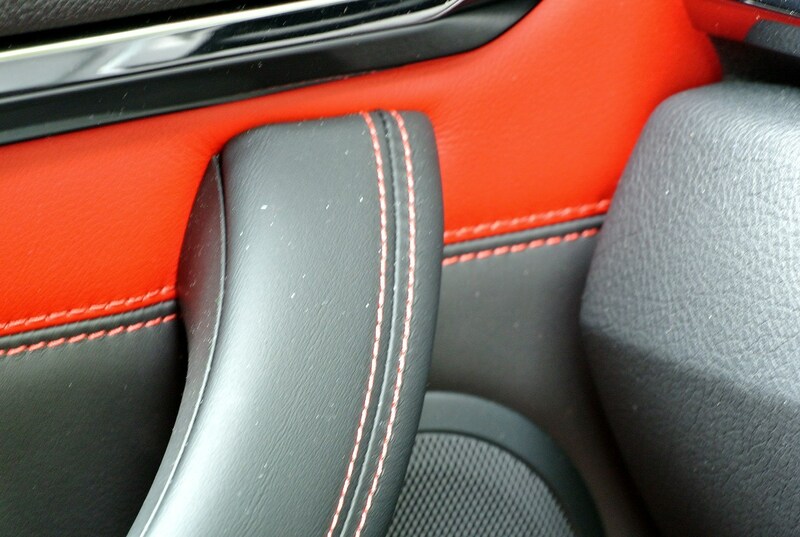 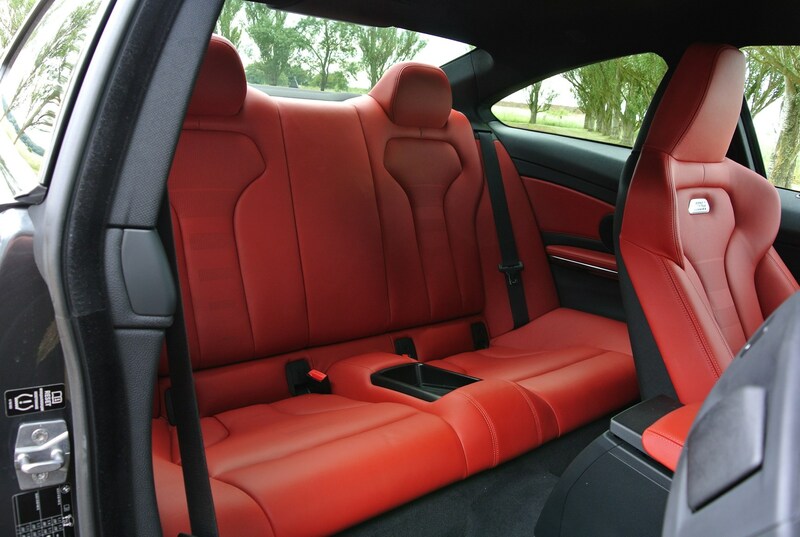 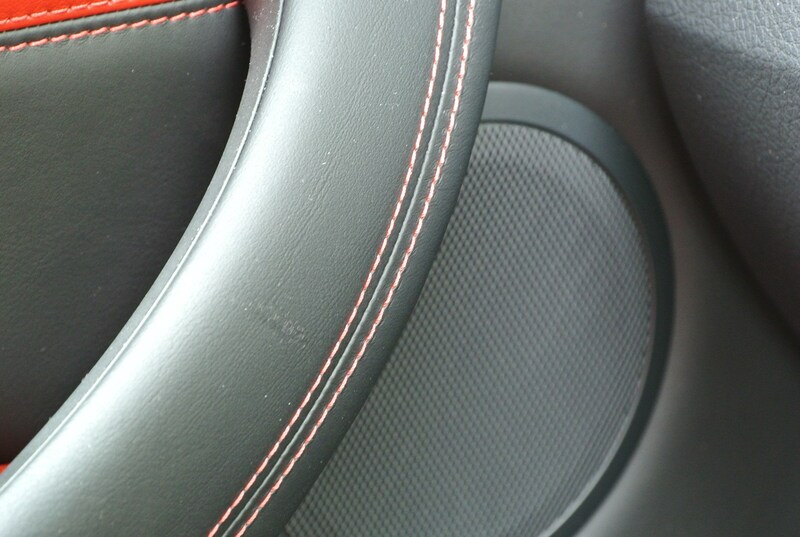 All cars will wear 19-inch alloy wheels as standard and inside there’s bespoke heated, lightweight and leather clad electrically adjustable seats with perforated leather in a new design offering surprising comfort and support. 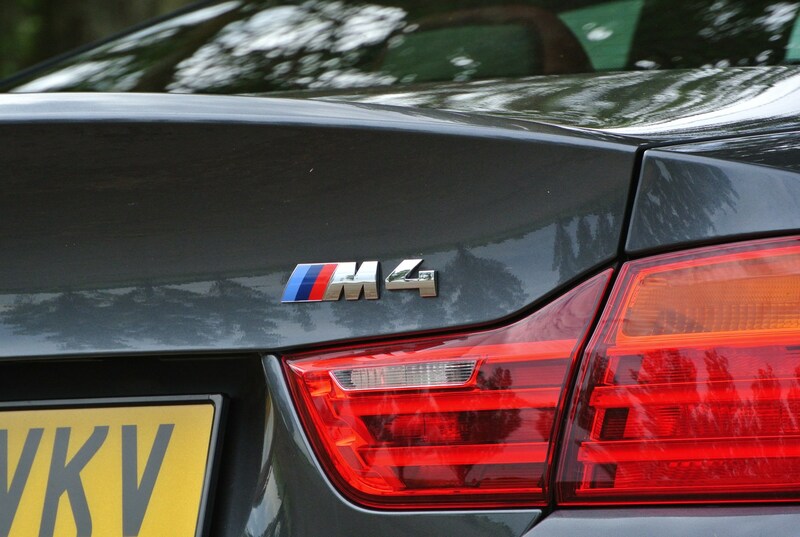 There's a convertible version of the M4 available too. 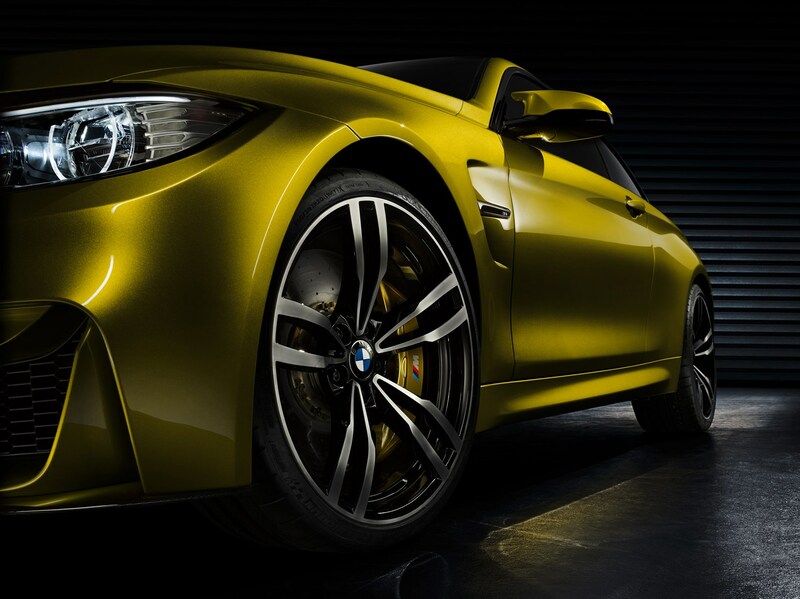 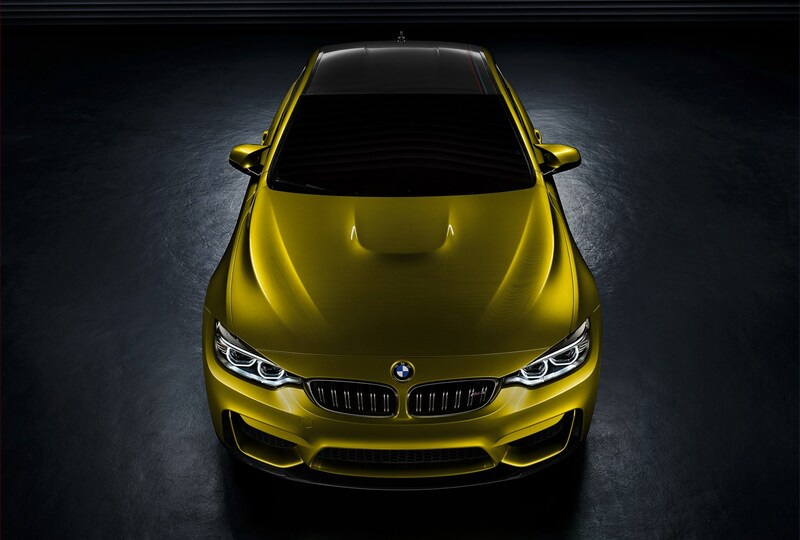 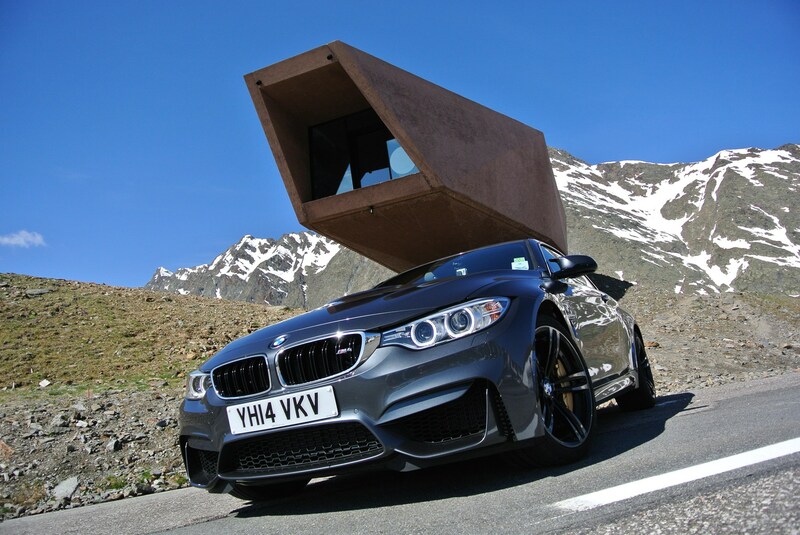 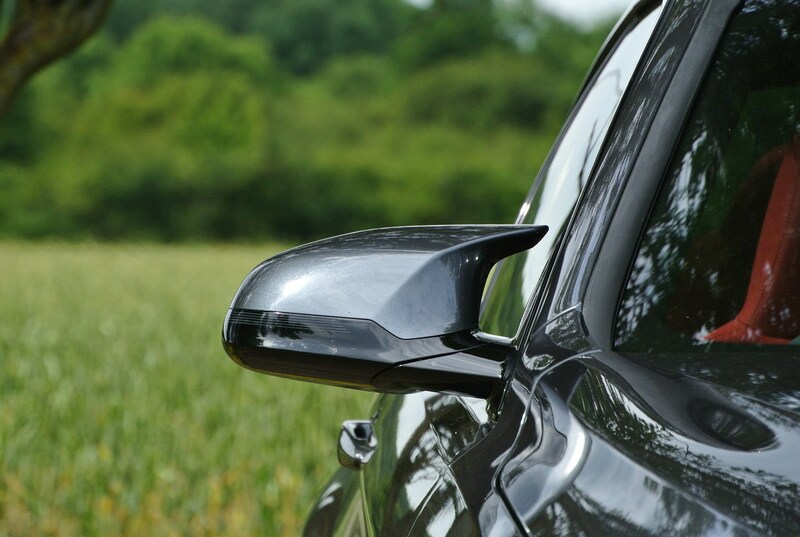 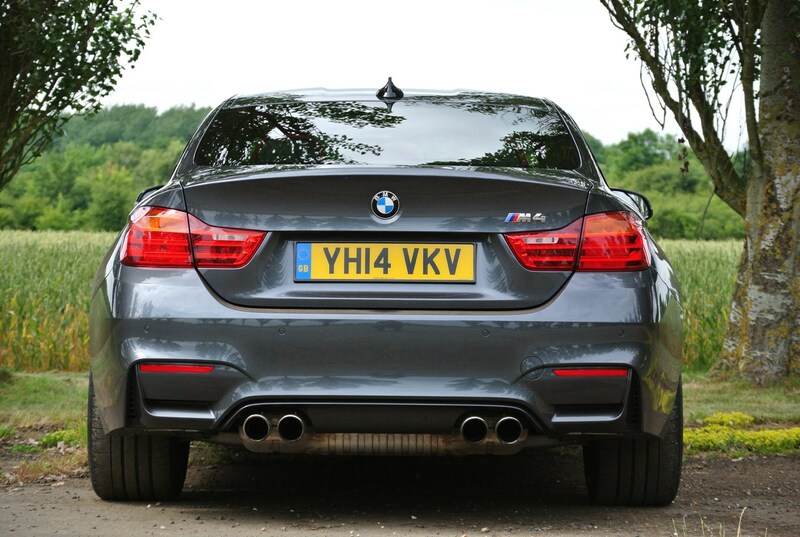 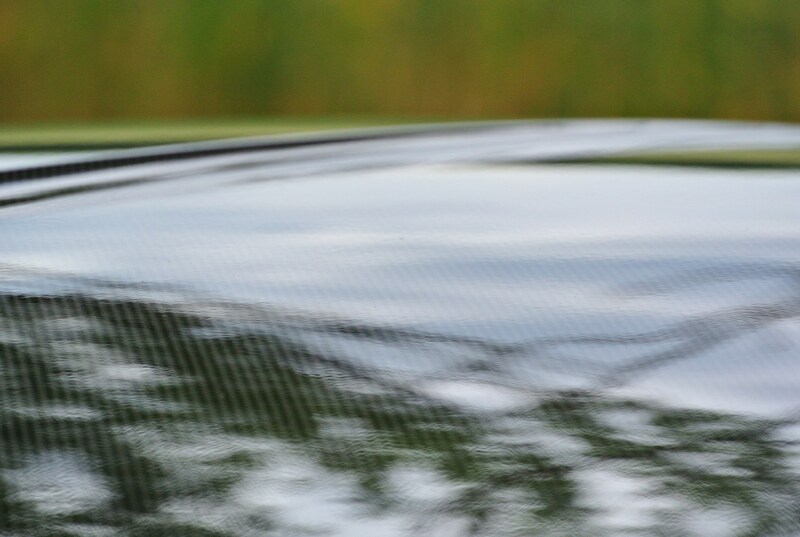 Its roof takes 20 seconds to fold down, and you do lose some of the excellent body control the M4 Coupe boasts. 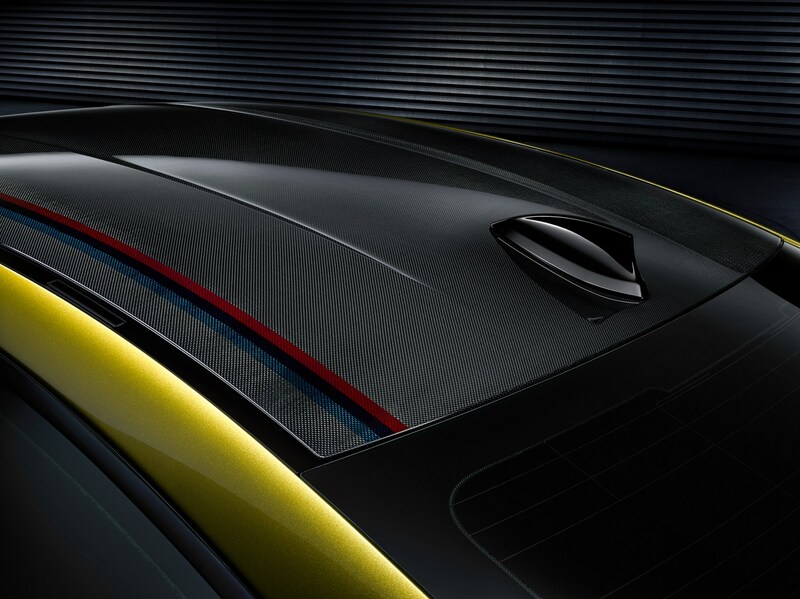 As with the regular 4 Series Convertible, there's a system to lift the roof assembly up to load larger items. 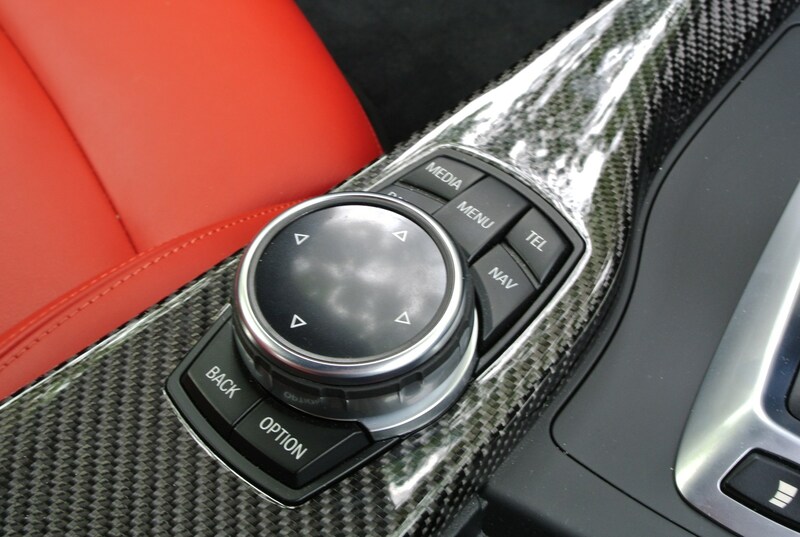 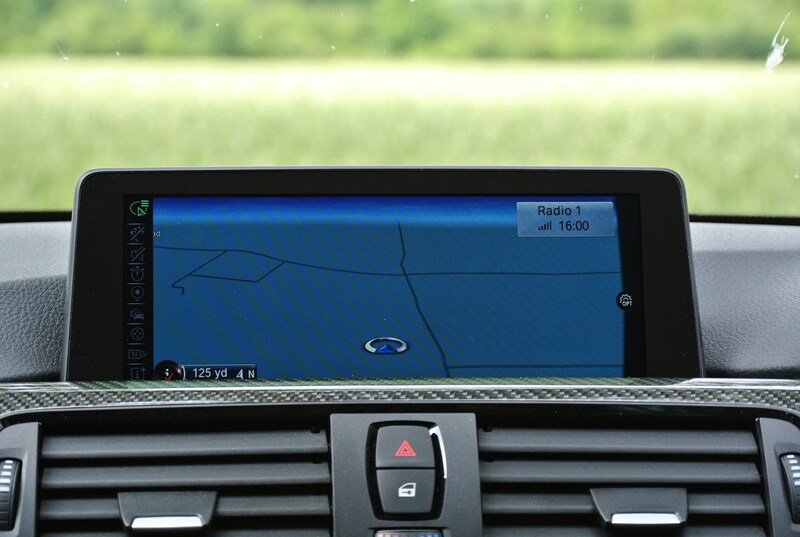 You've got a choice of some options for convertible motoring too, including an air scarf and heated steering wheel. 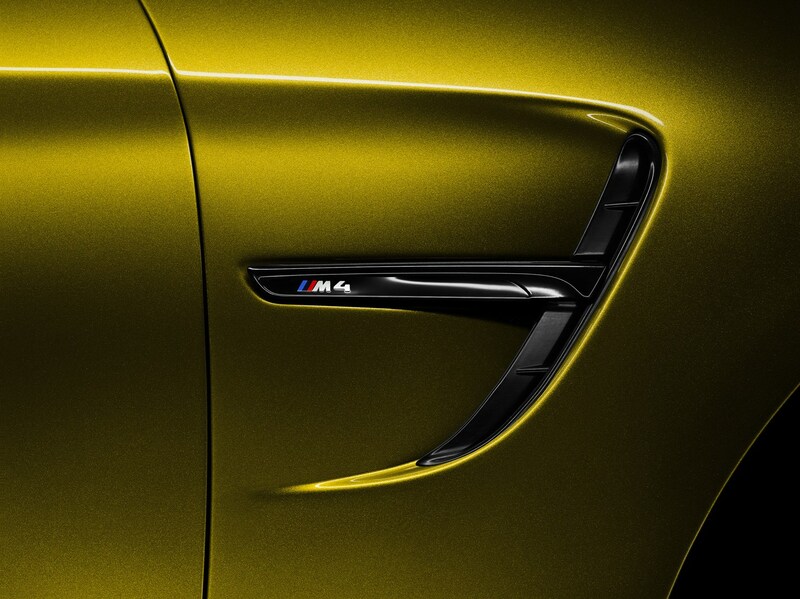 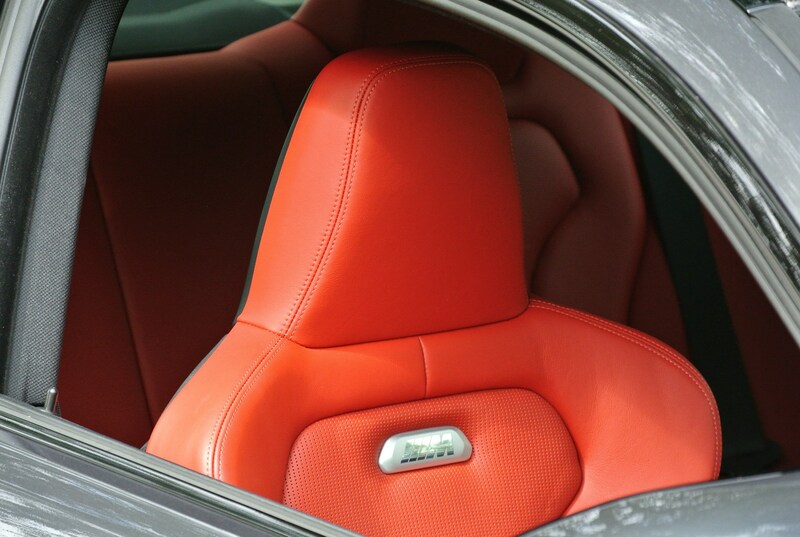 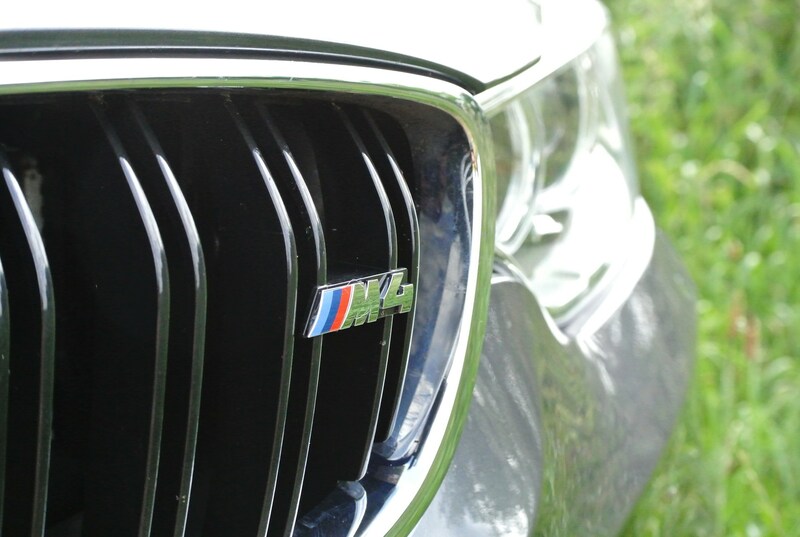 As a complete sports car that can offer a modicum of everyday comfort and practicality few rivals come so close. 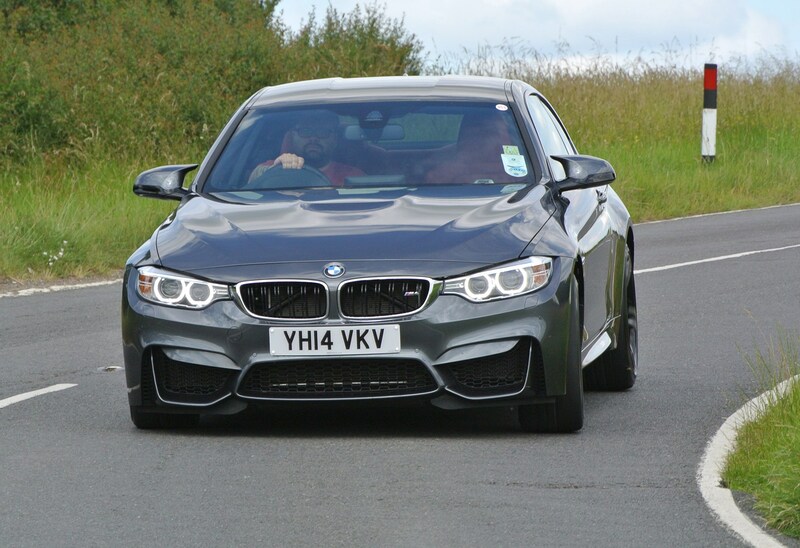 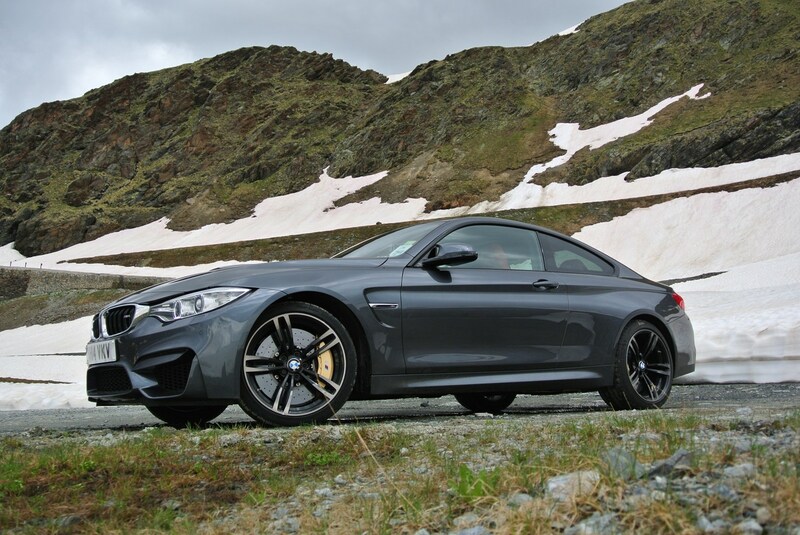 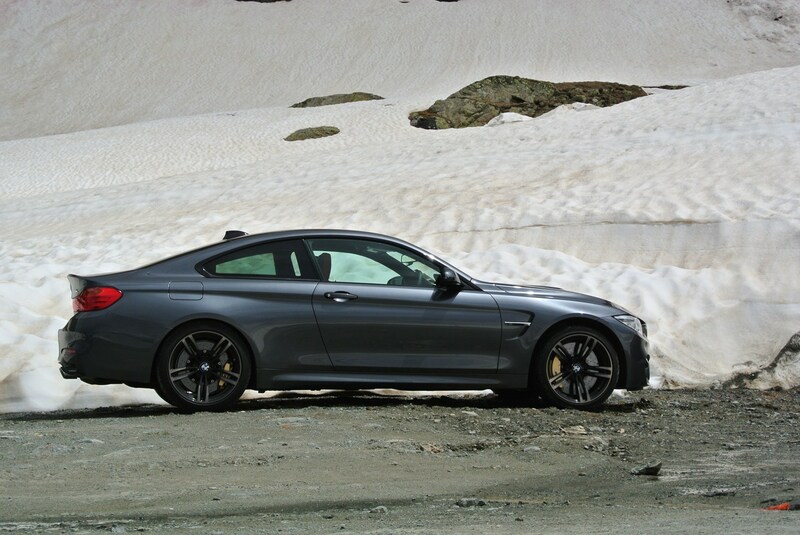 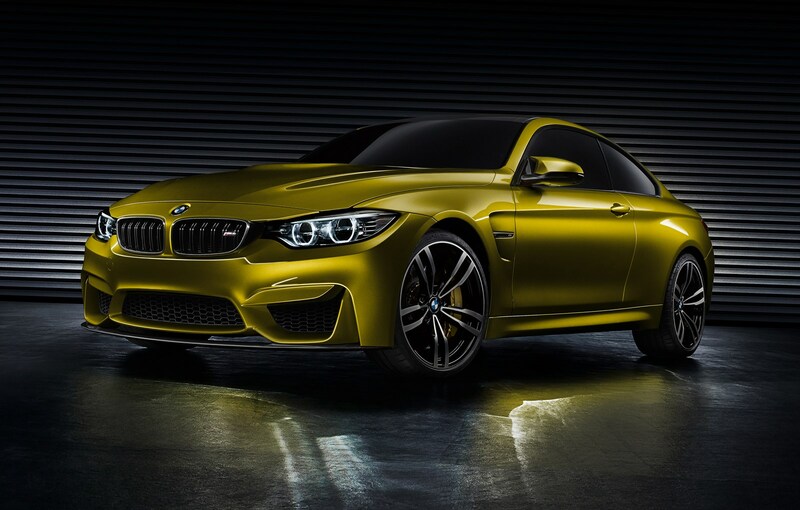 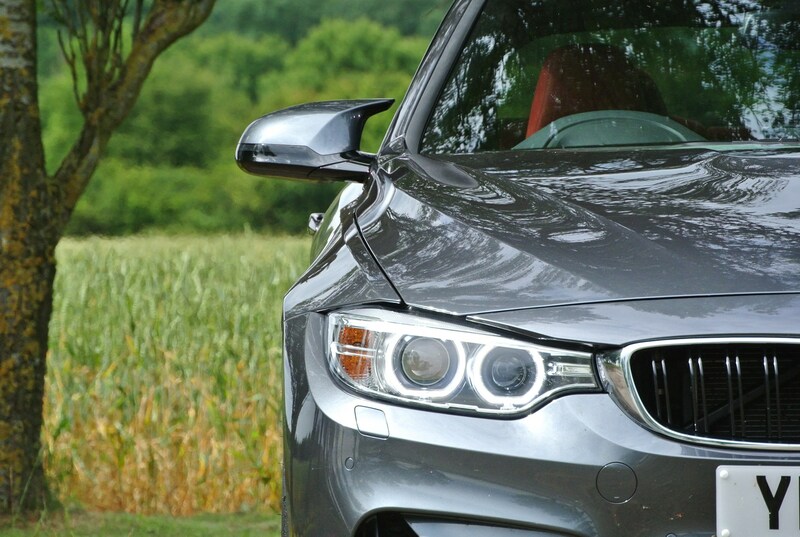 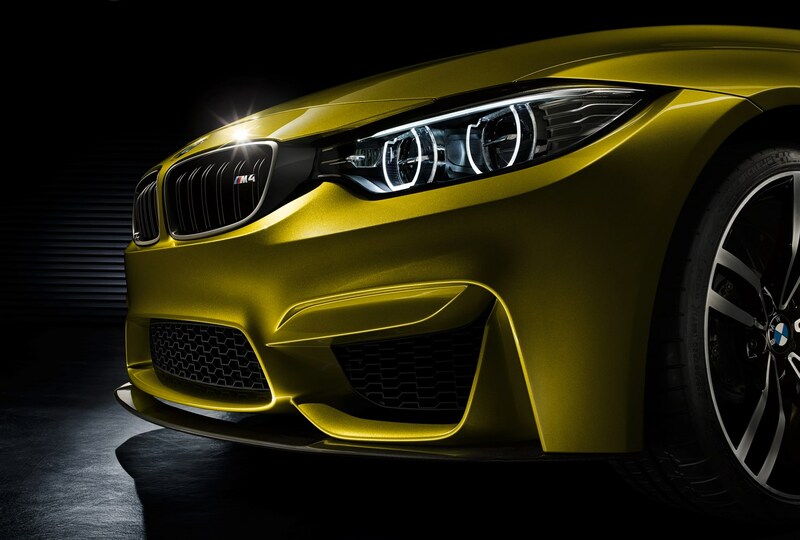 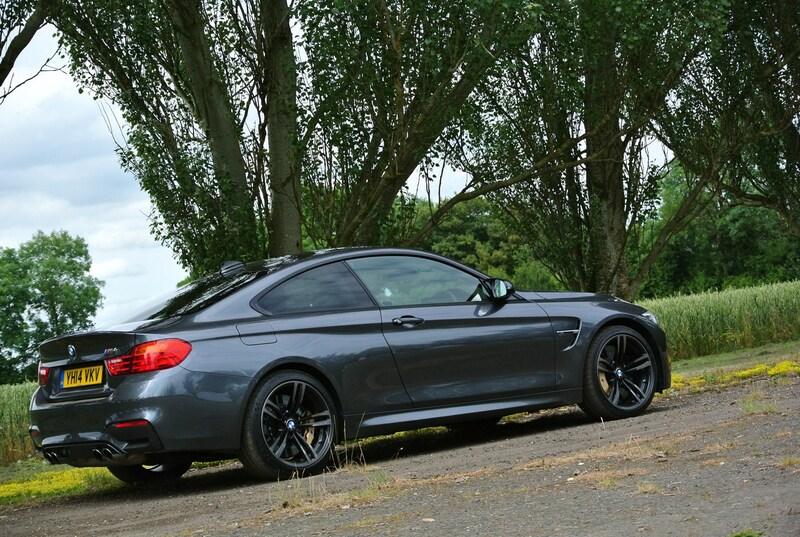 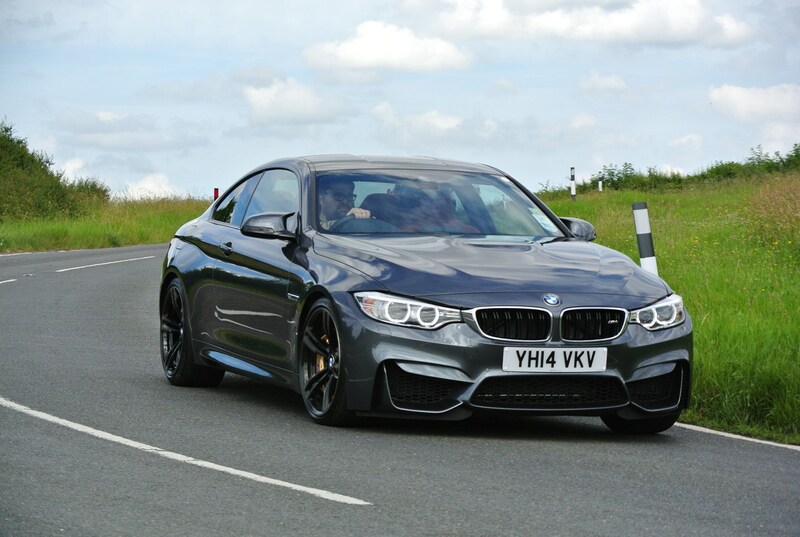 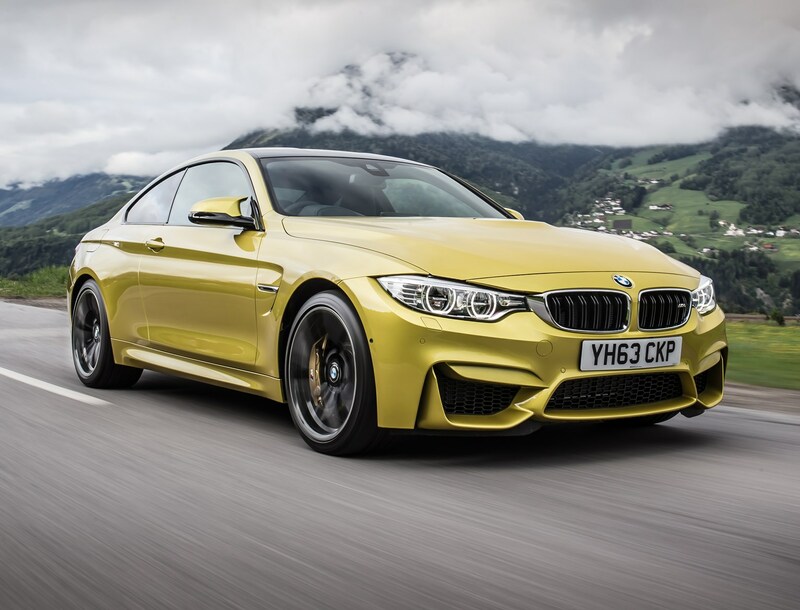 Read our BMW M4 review to find out exactly why.